In the very childhood Sergey was deep into music, beginning with ROCK, further on his preferences shifted more into JAZZ & FUNK. In the year of 2000 he started dj-ing at the Volgograd 103,1 RadioStation, totally dedicated to electronic music. As an author and editor he started up a show of his own about various influences onto electronic music. 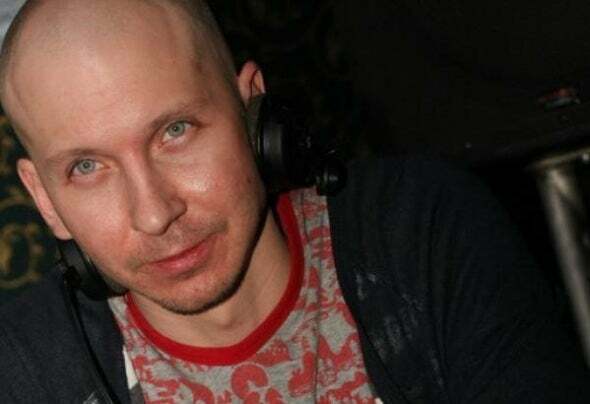 That was the time when Sergey got seriously into mixing, later on in 2002 he moved to the city of Moscow and premiered as a dj at the "HEART club". Afterwards Dj Mishakov have gigs at such clubs as Fresh, The Most, Sexton, Jet Set. Between 2003 and 2008 he residenced Zona club Saturdays. In 2004-2005 he got into the Top 100 dj's of Russia according to DJ.RU top list. From the very opening he's been residencing Megapolis FM broadcasted all over Russia. In 2008 he became an official resident of LM Soundivision tour. Having played thousands of different musicians records he started composing music of his own to develop his dj success story. Only the 1st year of composing and remixing brought him 21 release and contracts with such world wide known record labels as Grouper recordings(Miami, Florida),Ambiosphere(UK),Klam records(Columbia),Toto,Big mama(Ukraine). At the present time together with the tight composing schedule Dj Mishakov is a constant resident at Simple Pleasure bar,White Rabbit and suchlike. Sergey Mishakov is a dj with sophisticated music taste and rich experience. With the equal success he blows up a huge festival auditory with the magical Tech-house rhythms and sounds and makes visitors of a fashionable pre-party bar headnod to the high-grade Deep-house vibes.